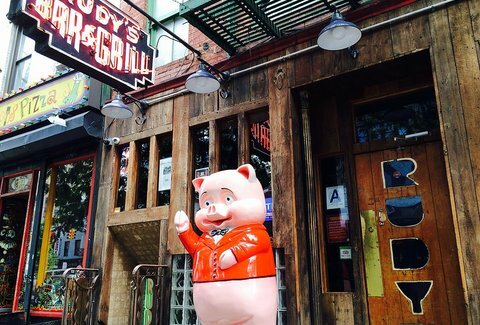 Not to be confused with Gordon Ramsay’s famous cooking show, Hell’s Kitchen is a key part of New York City’s history. Although the origin of its name is full of conflicting myths, there’s no doubt that this neighborhood has evolved from the gritty crime-filled site it was once known as. Today, Hell’s Kitchen has a low key vibe, and is full of celebrities and restaurants. Sitting just a block away from the hustle and bustle of Times Square, this quieter, less touristy neighborhood offers an abundance of food and chilled spots to help you avoid tourist traps in NYC. Sandwiched between 8th ave and Hudson River, and stretching from north of Chelsea to south of the Upper West Side – Hell’s Kitchen is a prime spot for train transport: catch the 123, 7, and NRQW at Times Square; BD at Columbus Circle, or any ACE that stops between 34th street and 59th street. Located next to the Theatre District, entertainment thrives in this neighborhood full of young professionals and celebrities. Being just steps from Broadway, you can always treat yourself to a show, or support original Off-Broadway productions and workshops instead. Want to preview new talent and developing shows? Maybe present your own? Stop by Ars Nova – a intimate black box theater on 54th street. Want options for what to see in one location? New World Stages has five theaters - all with a current show vastly different from the other. Want a taste of the outdoors? Hit Clinton Clove — a lovely portion of Hudson River Park located between 54th and 59th street. It’s a great spot for water sports too. Like to kayak? Go to Pier 96. Want to check out the “Get Down”? Pier 95 has a shaded terrace that allows park-goes to get closer to the water – perfect for relaxing and fishing. If you’d prefer a more intimate outdoor location, look no further than the Clinton Community Garden. 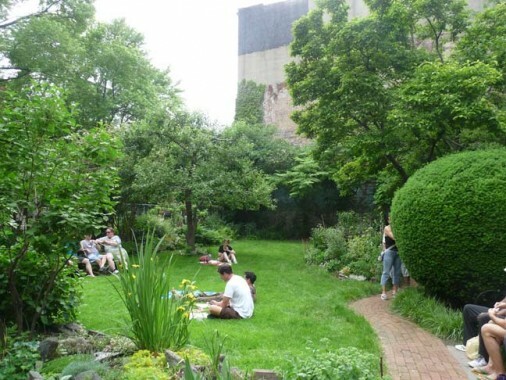 What makes this community garden so special is that it was the first one to be established in NYC in 1984. Residents actively cleaning up the garbage on the block lead to the preservation of this beautiful area, which is now a spot that the whole community enjoys. And although it’s technically a private garden, you’re welcome to apply for a key if you live or work in Hell’s Kitchen. Home to nine food vendors, Gotham West Market is the perfect place to grab a bite to eat. Try Jianbing Company for Shanghai-inspired street food or Choza Taqueria for roadside Mexican cuisine that welcomes both meat lovers and vegans alike. There’s truly something for everyone in this diverse food hall. 9th ave of Hell’s Kitchen is known as “Restaurant Row” — a strip full of bars and restaurants from various backgrounds and cuisines. One of the best is B Squared, a contemporary italian restaurant that also serves delicious handcrafted cocktails. As the sister restaurant to B Side Pizza, B Squared also serves artisanal pizzas and shareable small plates. Chill vibes and a good meal, what more can you want? 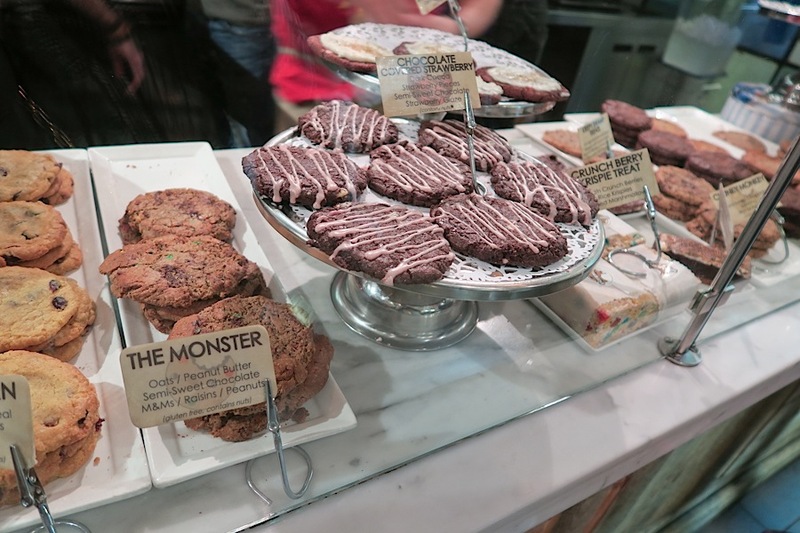 If you’ve got a sweet tooth, Schmackary’s Cookies is the perfect post-dinner or post-show treat — even Broadway stars often pop in and grab something to go. It’s no surprise there’s usually a line out the door for their delicious, freshly baked goods. Not only do they have an assortment of cookies with fun themes and names that change daily, they also serve brownies, coffee, hot chocolate and milkshakes. You can’t go wrong with two for $5...and they deliver! 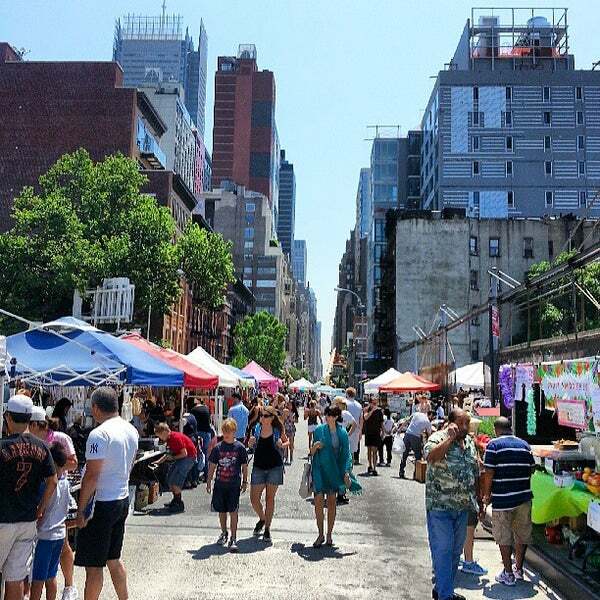 Hell’s Kitchen Flea Market is the place to shop for off-the-wall finds every Saturday and Sunday (weather permitting). Whether you’re just browsing or looking for handmade jewelry, antiques, and other vintage merchandise, stop by this market on the weekends anytime between 9am to 5pm. Think you could fit in in the hottest neighborhoods in NYC? Then come along to our SpeedRoommating events in Manhattan to find your next apartment. If you’re a Hell’s Kitchener let us know some of your favorite things to do in the area!